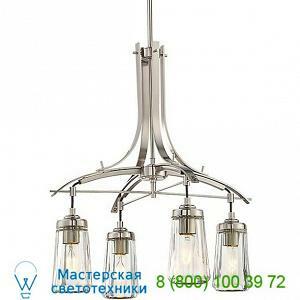 Предлагаем вам купить Minka-Lavery 3304-84 Poleis Chandelier, светильник по самой низкой цене - ждем ваш запрос для просчета размера скидки. Features: Design In: 2016Manufactured In: ChinaRatings: Location Rating: ETL ListedSpecifications: MetalGlass shadeDimming Information: StandardStem/Downrod included: One 6.00 in., Three 12.00 in. Canopy Shape: RoundLighting: One 60 Watt (500 Lumens) 120 Volt E26 Medium Base Incandescent Lamp(s) (Not Included)Dimensions:4 Light Canopy: H 1.13 in, Dia 5.5 in 4 Light Fixture: H 23.75 in, Dia 21 in 4 Light Maximum Hanging: L Adj From 34.75 in, Adj To 70.75 in 5 Light Canopy: H 1.13 in, Dia 5.5 in 5 Light Fixture: H 26.5 in, Dia 26.5 in 5 Light Maximum Hanging: L Adj From 38 in, Adj To 74 in.